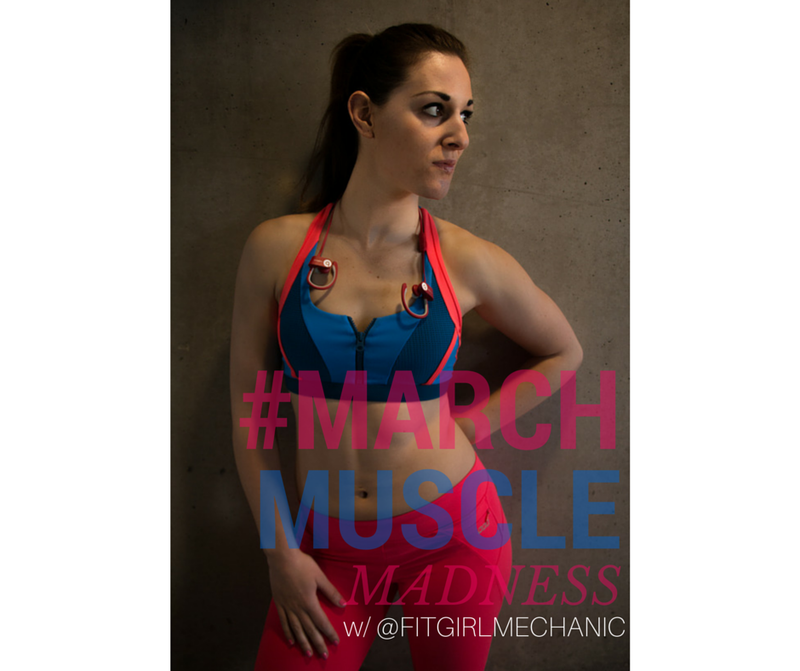 March Muscle Madness Challenge! And Giveaways!! Good morning!!! I am so thrilled to be giving you another amazing challenge this month. Last month’s #Squatforspringbreak and #absin60days were killer! I know the results were felt by many and I don’t want you to lose momentum! HUGE exciting news for March. Every week, I am going to be gifting one of my amazing followers with a prize! From water bottles, to tank tops, to the GRAND PRIZE at the end of the month, which will include a DVD program, swag, workout equipment, beauty products, nutrition powder, and MORE….you could say that I am looking for YOU to get your MUSCLE on this month! 4) Tag 3-5 friends to join you to get toned this month for a chance to win prizes!